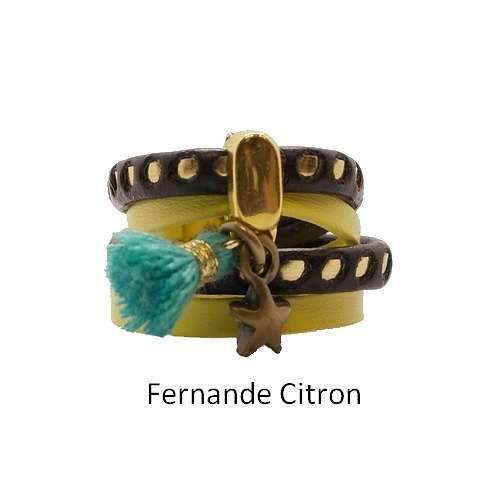 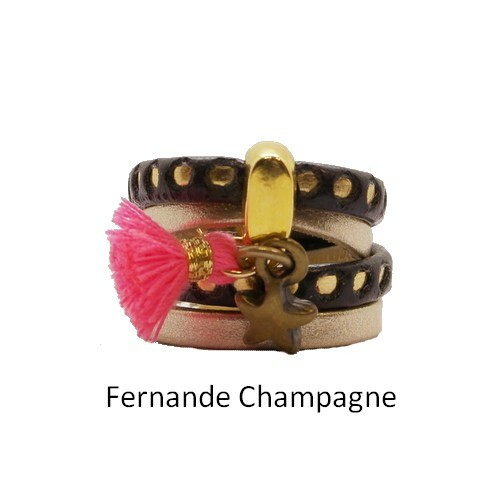 Ring in leather with golden nails chocolate with colored pompon. 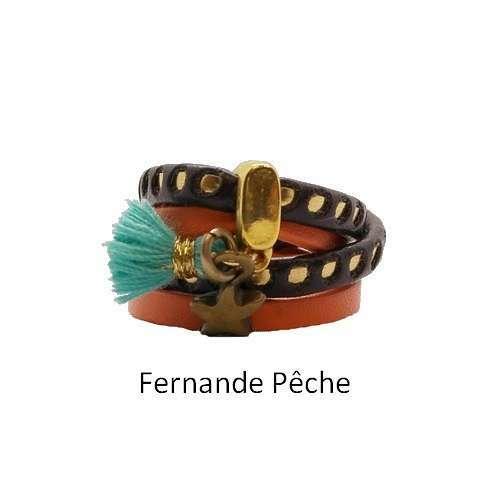 Discover a wide selection of leather rings unique at POAPO. 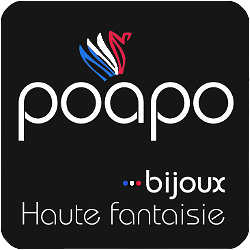 We offer original and unique models to match the new expectations of women. Women's leather ring available in 5 colors: Turquoise, Champagne, Lemon, Peach, Zebra Brown.